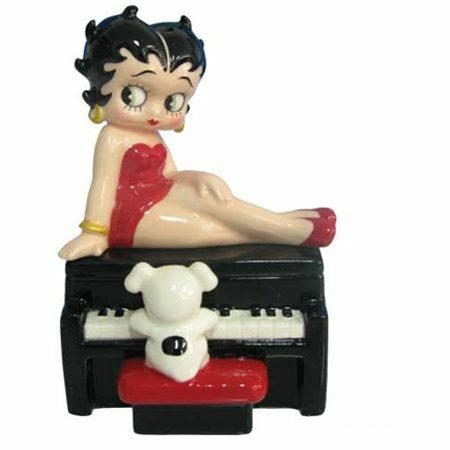 Betty Boop on Piano Salt and Pepper Shaker Set – Give the gift of a collectible with the Betty Boop Piano Salt and Pepper Shaker Set. This set is held together with magnets and features the popular Betty Boop performing on top of a piano. Makes a great gift for piano players, piano teachers and collectors! Made of ceramic with glossy finish. Approx. 4.5″ high.